It's just not a safe year to be a fan of any male celebrity anymore. I thought my heart would get some time to heal after the revelation that Ryan Gosling and Eva Mendes were having a baby — a "revelation" that still somehow hasn't been confirmed by either of them yet — but apparently the mourning period is getting shorter and shorter these days. Because Wednesday morning I was blind sided. I was smacked in the face. Someone reached into my chest, grabbed my heart, threw it on the ground, and stomped on it with a pair of soccer cleats. It was swift and brutal and not something I would wish on anyone. Therefore, it is with the greatest of care that I take your hand and reveal to you that Benedict Cumberbatch is engaged and we need to be brave here. I know. I know. Your entire world just narrowed to that single sentence. There's a ringing in your ears. You feel dizzier than an adult fan of Taylor Swift who hasn't bought their Swiftamine yet. You feel sick, even. But it's true. Cumberbatch is getting engaged and it's not to any of us and we need to be happy for him. However, perhaps even worse than this news is the way that the Sherlock actor decided to share this news with the world. According to People, Cumberbatch put an engagement announcement in the births, deaths, and marriages column in the Times that read, "The engagement is announced between Benedict, son of Wanda and Timothy Cumberbatch of London, and Sophie, daughter of Katherine Hunter of Edinburgh and Charles Hunter of London." If that isn't the most adorably traditional manner of engagement announcement you have ever heard, then your heart is still missing from when you ripped it out of your chest rather than deal with the pain of losing Gosling. (Yes, that was a Once Upon a Time reference.) Who even uses the Times engagement section to announce engagements anymore? 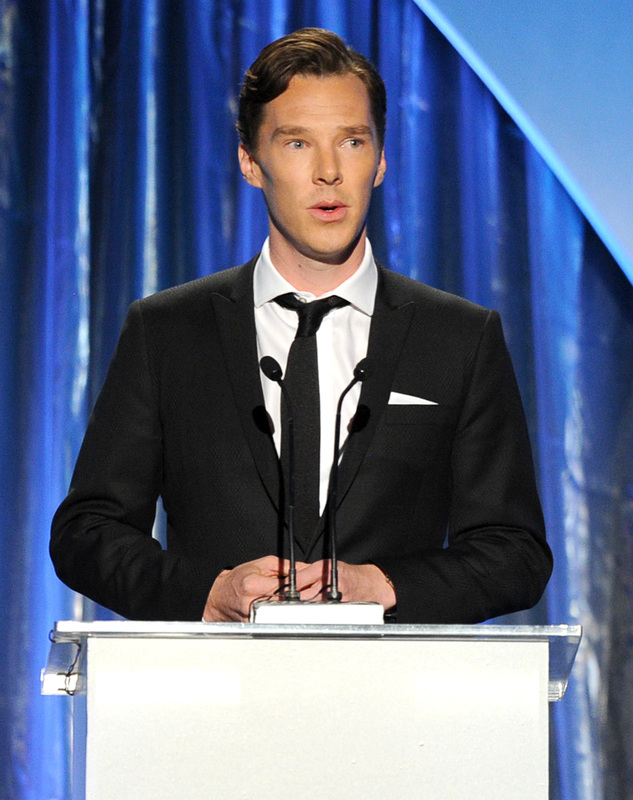 It's like Cumberbatch thinks he's a real person and not my fantasy husband or something. Just as shocking as the fact that Cumberbatch is engaged is the timing. News of his relationship with Hunter were first reported in October, when the Daily Mail revealed that the two had been dating for a few weeks. They were first seen together at the French Open in June, but if the Daily Mail is to be believed then the pair have only been together for about two months before deciding to get married. They would be far from the first couple to have a record-breaking sprint from courtship to engagement to marriage (still looking at you, Naya Rivera and Ryan Dorsey), but as Cumberbatch fans then we owe it to him to want him to be happy. No matter how much we might be crying rivers to flood the whole world and hoping those river tears was away any signs that this engagement is a real thing. Or we could just all lose our minds and be mature about this later. That seems to be the better option right now, if Twitter is to be believed. Solidarity, my fellow Cumberbatch lovers. Solidarity and support through this difficult time.